Learn AngularJS Step by Step or if you are looking to learn angularjs in depth, This is a right place to get in-depth knowledge of angularjs or angular 2/4/5 because explanation articles, videos and other materials are very niche high quality and are not just theory based but they are practical, step by step, project based and to the point using real-time examples step by step. You would hardly find these kind of materials and learning techniques in any other site. Watch our sample videos to understand our quality. Learn AngularJS Step by Step or Learn AngularJS 2/4/5 Step by Step with Questpond Team. Here you will get all the learning resources available for angular like videos, articles and e-books. Apart from free self learning materials we do offer a training where we cover entire syllabus of learn angularjs. 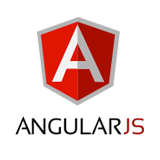 Articles or Tutorial videos found on this website are very niche with in depth knowledge of AngularJS which we guarantee that you cannot find these materials on any other site. 1 : Framework By Google : As this framework belongs to Google and maintained by Google engineers it is obvious that we get a highly-available engineers for support and assistance for AngularJS Q&A and a large open community to learn. 4 : MVVM : MVVM (Model-View-View Model) is a refinement of the MVC design. In the MVVM pattern, the logic is stored in the presenter and view is completely isolated from the Model. Here Controller is actually replaced by View Model in MMVM pattern. We will discuss this pattern using an example in our article session. 5 : Data Binding and Dependency Injection : Data binding in Angular is an integration between the model and the view. Since everything in the MVVM pattern is communicated automatically across the UI, like we update anything in view automatically reflects in Model and same way any changes in a model gets reflects in view. Angular provides a Dependency Injection mechanism. In Angular, dependencies are injected by using an "factory method" or "constructor function". Following components such as factory, value, service, provider and constant. 6 : Extends HTML : Main advantage of using angular is that it is allows us to extend the capabilities of HTML using HTML attributes with Directives (ng-directives, ng-model and ng-bind). 7 : Makes HTML your Template : AngularJS is a super powerful framework that makes your html work like template. Here, templates are written with HTML that contains Angular-specific elements and attributes. 8 : Enterprise-level Testing : AngularJS is enterprise-level testing ready, and that is one of its most compelling advantages. Other benefits of Learn AngularJS Step by Step : Quick Start and easy to learn, Time saving in writing code, Fewer code using MVC, Easy Data Binding and Declarative Expression of UI. If you want to Learn AngularJS Step by Step / Get Angular Tutorials Videos / Get Angular Tutorials / Angular Training kindly contact us our expert faculty will guide to learn Angular.